Digital marketing is a hugely complicated topic and one of the ways I’ve come to think about it is seeing it as similar to seeing London – by tube. If someone says to you, “I want to see London” – what do you say? Do you say, “Go to Oxford Circus then you’ve seen London.” Or do you say “Oh, just go to one place like Vauxhall and then you’ve seen London.” No, you definitely don’t. If someone really wanted to see London, and asked you to recommend the best tube line through which to see London, again you’d be stuck. The fact is, you can’t see London on one, two or even three lines – and the same goes for digital marketing map. You can’t just take one, two or three aspects of it and consider it done. 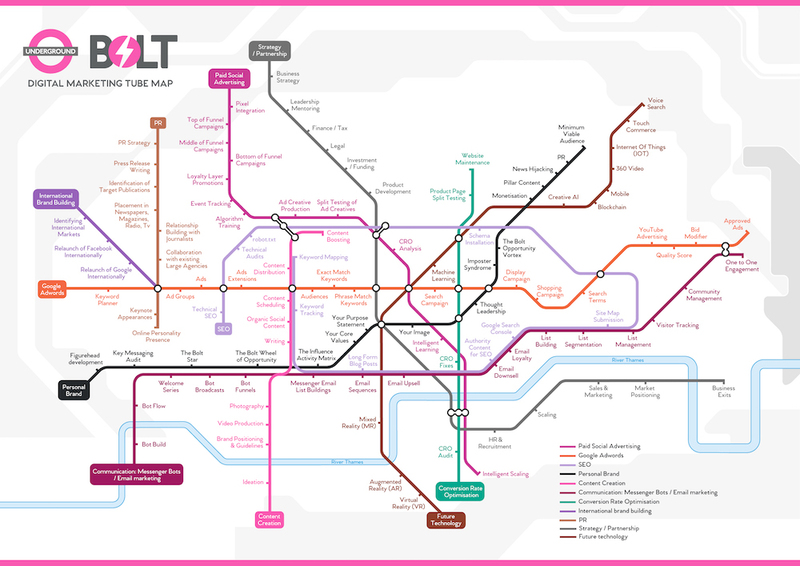 This led us to create our own digital marketing tube map, which is everything goes into an integrated performance marketing strategy. 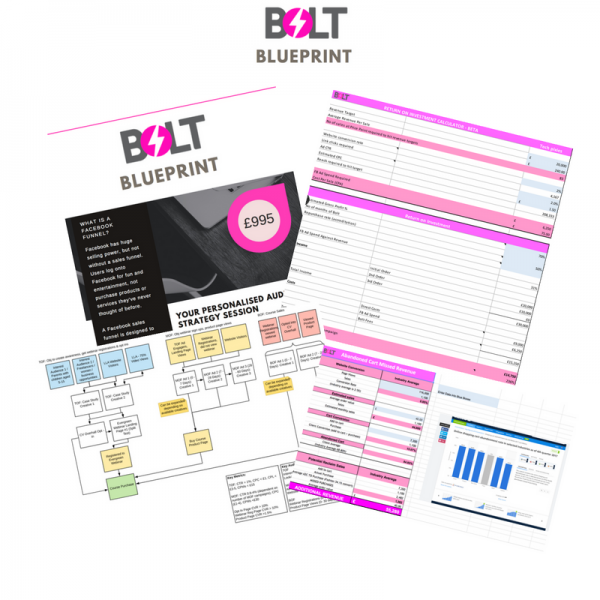 We’ve structured it to show all of the complexities that come into digital marketing. It’s not as simple as JUST running Google Ads or doing paid social ads… there is a whole intertwined set of tactics and channels that come into play. There are so many lines of media that interlink when it comes to creating an effective digital marketing strategy such as paid social advertising, Google Adwords, SEO, personal branding, content creation, communication (messenger bots and email marketing), conversion rate optimisation, international brand building and PR. One is not ‘better’ than the other, in fact they all interact and are all interlinked. When it comes to digital marketing, like when you’re trying to sightsee around London – the reality is, you can’t just hit on one line, or go to one station and consider it job done. You need to have a mix of various different methods working together.